Smaller HolesLess NoticeableWe use 5/8″ diameter holes. A rough rule of thumb is half the cost of concrete replacement. Learn more. Not sure how it all works or ready to start? 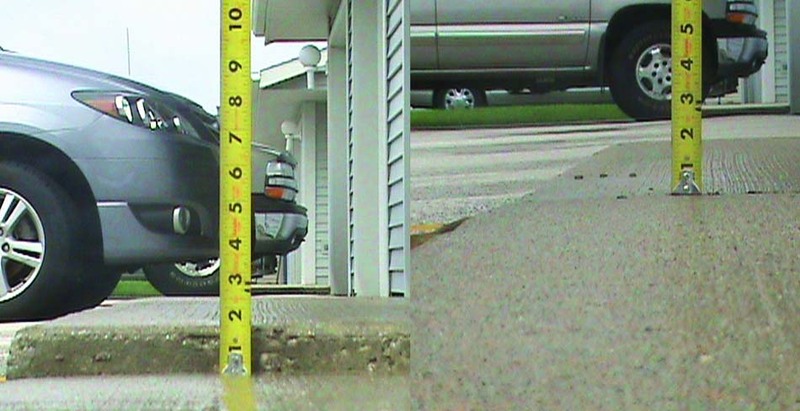 Learn about our concrete leveling process. Polyurethane has some key advantages over "Mudjacking." Learn the benefits here. Based in Minnesota, we're close to many areas of western Wisconsin and the Minneapolis Metro area. Fill out our free quote request form and Scott and his team will give you a personalized quote to raise your sunken concrete on the spot. Based on your preferences, we'll either print a paper copy of your quote and leave it at your location or we can email you one, complete with pictures and a final price. We've taken a low technology problem (sunken concrete) and applied technology to it. To get your concrete leveled, all you have to do is fill out our quote request form online, review the quote through email, and pay online. Done. There's no waiting between the hours of 8 and noon for someone to show up. There's no supervision of the concrete leveling itself. Just request a quote, get an email, and pay online. 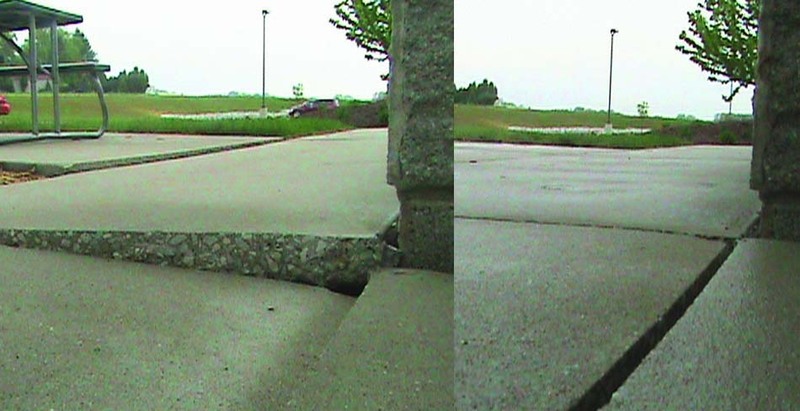 Sometimes, concrete surfaces, which are rigid and without flex, tend to crack or break depending upon what's happening beneath the surface of the ground upon which they rest. Fortunately, in many cases, it is possible to minimize and repair the damage the ground's movement has caused. Usually, the reasons concrete resting upon the Earth cracks or breaks have to do with what is going on beneath the surface of the Earth. The soil in areas with high clay content tend to swell, causing the ground to expand during rainy weather and to shrink, causing the Earth to contract during droughts. Concrete placed upon land fill areas that were never adequately compacted may also tend to shift or fall inward. The depletion of local underground aquifers is also frequently responsible for the shifting of the topsoil as is virtually undetectable seismic activity. 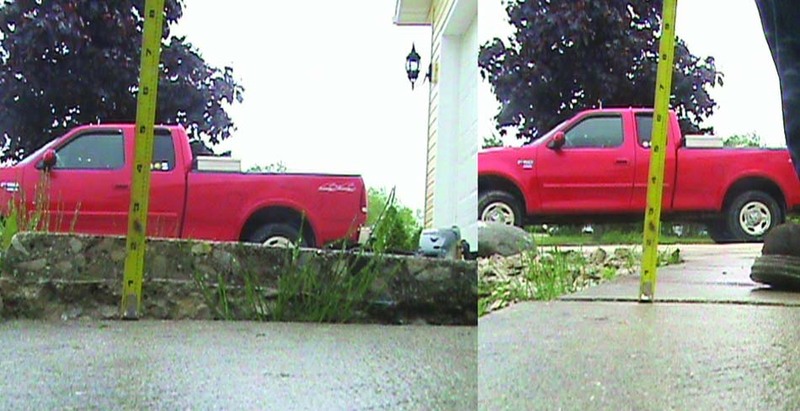 Slabjacking - Slabjacking is an attempt at concrete leveling that is conducted through the drilling of strategically spaced small holes, typically 1" in diameter, upon the surface of a concrete slab. Grout or mud is hydraulically forced through these holes, causing the surface of the concrete to lift. Polyjacking - This concrete leveling procedure is closely related to slabjacking but for the fact that the drilled holes are much smaller and the pumped-in material is a type of closed cell polymer foam that fills all available open space below the ground before beginning to press the concrete upwards. Concrete Replacement - The repair, resurfacing or outright replacement of the existing concrete is frequently a contractor's first resort despite the fact that it is almost twice as expensive as polyjacking. Unfortunately, concrete that is replaced, but whose cause for deterioration is not addressed, is subject to experiencing more breakdowns in the near future. Any serious concrete repair should be conducted with an eye towards addressing the cause of the problem and not just its symptoms. Our quotes are always free. We'd be happy to swing by and e-mail or leave with you an accurate quote. We also do spray foam insulation. Check it out here.